I'm going to be away for almost all of this week, so I thought I'd leave you some reflections. 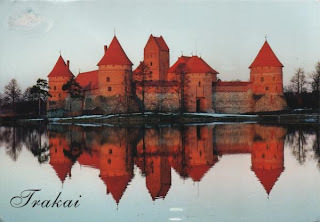 Two postcards of the Trakai Island castle in Lithuania, both with wonderful reflections in Lake Galve. 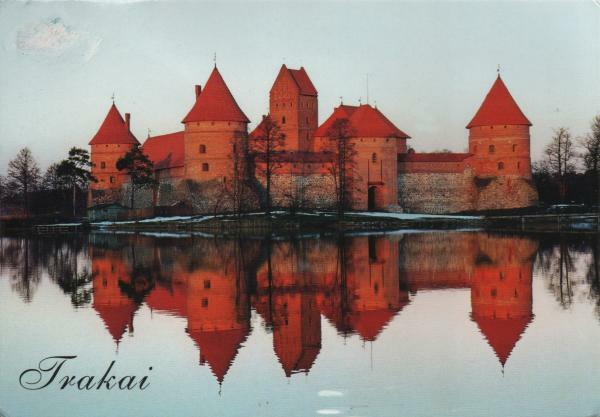 I also have a postcard showing the inner yard of the castle. "You cannot prevent the birds of sorrow from flying over your head, but you can prevent them from building nests in your hair. " 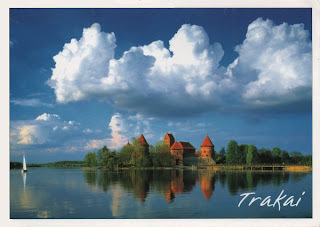 Like something out of a fairytale! Stunning. What lovely reflections these are too. Inspires me to post my own Trakai postcards. Have a nice time off the web. Take care! i love your blog. Found it through the old black button (Decide)... most of them don't work any more. What a great site you have. Thank you!